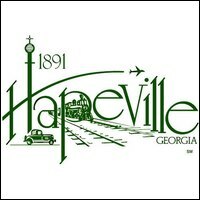 The Hapeville Performing Arts Center is an emerging venue that will feature a full theater and rehearsal spaces. Currently seating 99, the full center will feature a 130-seat proscenium theater, rehearsal, dance space and offices. Parking: Paid parking lots are available near the Center.